Photo: Tyne and Wear Metro. 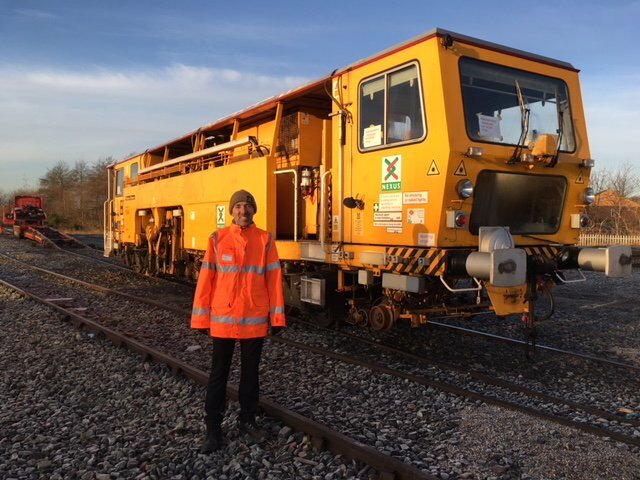 After 30 years service on the Tyne and Wear Metro, a track tamping vehicle is set to find a new home in the Far East. Nexus, which manages the light rail system, has sold the maintenance vehicle to Polish rolling stock firm Newag, after buying a new £2.3 million tamper as part of a modernisation programme in 2014. Newag specialises in modernising old rolling stock and intends to sell the 40 tonne vehicle to an operator in South East Asia. The vehicle departed from a railway yard in North Shields on the back of a low loader on December 18. It will be taken to Germany to a refurbishment depot. The track tamping vehicle is used to sustain track geometry levels and alignment in accordance with UK rail industry standards. Nexus director of rail and infrastructure Raymond Johnstone said: “It is a vehicle that the public may not have often seen in use, as the bulk of its operations were during the night when Metro services were not running.